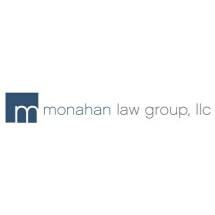 At Monahan Law Group, LLC, our attorneys provide principled advocacy for families, individuals, hospitals, social workers and social service providers, and others in the Chicago area who need assistance with guardianship, mental health law matters, estate planning and administration, and elder law litigation. With a strong focus, we strive to find the right solution to important legal issues in a timely manner. We have decades of experience to achieve positive outcomes. To speak with one of our attorneys about your legal problem, please call our office in Chicago at 312-419-0252 to arrange an appointment.